Let me begin this piece with a confession: animated movies do not fascinate me much, though I watch a good one now and then and also appreciate some classics in the genre like those of Yuri Norstein’s. Yet, my journey with Isao Takahata and the power of nature in his movies have, indeed, contributed positively to my life. The first anime that I ever liked was the movie Grave of the Fireflies by Isao Takahata. It moved me beyond words. Animated movies as a rule give the impression of a world where reality takes a round-about turn and where all physical limitations disappear. They induce hope, delight, and laughter, and, in some cases, prove thought-provoking. Rarely, however, these movies steer our self deeply. Thus, Isao Takahata is a name worth taking in the history of world cinema because his animated movies are more real than any real movie, despite the fantastic elements. Although peppered with the implausible moments that humans only dream of, his movies are candid reflections of human lives. He just extracts the characters’ longings to surface and completes them, occasionally conferring them the invisible wings. Takahata is a Japanese anime director and one of the co-founders of the well-known Japanese anime production house, Studio Ghibli. After a long struggle, Takahata was able to produce his best movies. They range from emotionally stimulating war-drama like Grave of the Fireflies to sensible comedies such as My Neighbours the Yamadas, but what remains constant throughout his movies is his interaction with nature. Though all the movies are worth a review, I would rather share my experience of those which distinctly represent nature and its role in human life: Gauche the Cellist, Only Yesterday and Tale of the Princess Kaguya. It is believed music took shape when humans began to feel nature’s myriad moods and imitated natural sounds. In his heart, the sensitive but disturbed Gauche – a farmer and a cellist – must have known that and yet, his zeal towards mastering Beethoven’s creations took him away from nature and made him a failure in others’ as well as in his own eyes. The natural world, unable to bear Gauche’s plight, began to interfere. Thus began the natural world’s – the cat, the bird and the mouse’s – incessant attempts to bring him back to nature, to his own being. This is because a musician’s own nature is always in harmony with the natural world and that’s where he always derives his inspiration from. Beethoven’s frown in the picture hanging on the wall gradually softens as Gauche progresses in exacting his own emotions in his music. Maybe Beethoven was happy Gauche finally realized a mentor cannot help, unless the apprentice understands what inspired the mentor. In the initial practice sessions, the conductor of the orchestra reproaches Gauche for lack of emotions in his music. By the end of the movie, Gauche surprises himself and others when, on the day of the concert, the audience remain awe-struck at his solo performance. In Gauche’s journey – from his cold restless music that drove the cat crazy to his warm haunting composition that cured the little mouse – it is evident that if music has a healing capacity, the same can be precarious if it doesn’t hold the warmth of human feelings or of nature’s tenor. In music, as in any other creation, there’s always a singularity if the piece is not wilfully reproduced and left to carve out from one’s own feelings and experiences. 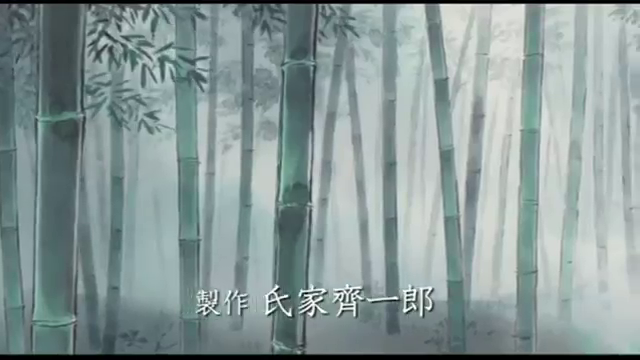 Originally a story by Kenji Miyazawa and later adapted into an anime by Takahata, cinematically this movie is an average one but it establishes the intrinsic relation between music and nature very beautifully. The bird shattering the window and flying away towards the horizon is definitely too fantastical for our rational selves but it is also symbolical of our desire to break free from all fears and pursue that which we crave most. In Only Yesterday, we watch the life of the protagonist –Taeko – in two parts: one as a fifth grade student, on the verge of her adolescence and another as a working woman, on the verge of changing the course of her life. As the movie progresses, we understand that the reminiscence of the fifth grade self helps the older self recognize her priorities. Taeko’s boss is taken aback when Taeko states plainly she is going to the countryside to spend her vacation. Is it because an isolated place like Yamagata is considered suitable only for lonely people, maybe? And yet who’s not lonely? In Taeko’s reminiscence we are brazened out to a ‘loneliness’ that we carry since our birth but which we alienate as we normally fashion our life in order to escape from it. Nonetheless, it is like nature’s muteness: ever present and ready to bare its fangs in the most silent hours. The movie is about a time when nature was increasingly exposed to human manipulations, when Japanese people had the first taste of pineapples and when the music band Beatles was getting popular. It is about a child whose sensitive nature and real talents were overlooked. It is about a woman’s journey where she is time and again expected to change her ways of feeling and thinking in accordance to the societal demands. Mostly, however, it is a story about letting nature heal us and mould us to better human beings. While the natural world provides humans with a sensitiveness and humility akin to nature’s gentleness and a determination akin to nature’s ferocity, a man-made world in its attempt to toughen the surface weakens the core and makes people insensitive and feeble. Taeko doubted her strength to cater to the demands of a life in farming because she was brought up in the city, but as she began farming and falling for a farmer, whose views on farming answered many of her long-forgotten questions, she knew she had the strength of a farmer too. On the whole, it is a wonderful animated saga on the lives of farmers. This exceptionally far-fetched tale, based on one of the oldest Japanese folk-tales, ‘The Tale of the Bamboo Cutter’, is, for me, quite ironically, one of the most true-to-life tales of human existence. It’s a coming-of-age film of a Lunarian who is born on earth. She sprouts from a bamboo shoot and is found and brought up by a bamboo cutter and his wife. Li’l Bamboo, as the village children call her, grows up midst the wilderness, happy and ferocious, like wilderness itself. But her life in the wilderness ceases when the bamboo cutter again miraculously gets hold of a lot of gold and decides to give her the life of nobility. All at once she finds her name changed to Kaguya and her free and jovial spirit being shackled and disciplined to conform to the pretenses of the nobility. She is aggrieved and lost and, at the end of the tale, is taken away to the moon by the Lunarians. Kaguya painfully accepts she must leave the beauty, joy and sufferings of her life on the earth and knows in her heart that an odd feeling suspended between bliss and grief would continue to haunt her even when memories of her life on earth disappear. The arrival of the Buddha like figure on a chariot from the moon to take Kaguya away from earth is undoubtedly a spiritual allusion towards leaving all illusions behind and embracing the spirit. Even so, at that moment and in Kaguya’s grief we find ourselves face to face with some questions: will there be any difference between one creature and the other when death appears at the doorstep? Why do humans like to differentiate between themselves while they are living? Does a bird ever choose to stay in a cage? More than that what terrible fears and stupor must enclose its spirit if it ever does so! Fundamentally, all the three movies dig into our origin and our longings: the moment we lose touch with the earth, with nature, we lose an essential part of our self and the rest of our life is spent searching for it. Donned in charismatic scenes of nature and farm lands, Takahata’s movies take us to the very root of our life: if not for the farmers on whose toil the whole world survives and if not for farming and related activities, which use the life-force of all living beings to help humanity survive, where would we be? Creating a beautiful anime is as challenging as making a real movie and Takahata lives up to the challenge as gloriously as any other maestro of world cinema. 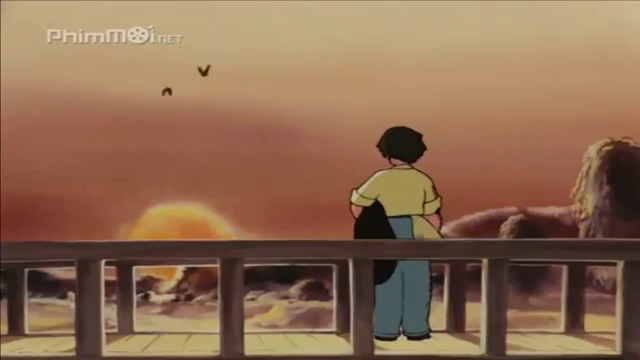 As an appreciator and critic of world cinema, I hope we’ll get more Isao Takahatas in future. As of now, there is only one.